Duri Cosmetics’ Herbatherapy contains a blend of natural herbs, extracts, and oils to nourish and moisturize both nails and cuticles as it promotes and supports nail growth. Herbatherapy works to soften damaged, dry cuticles and revitalize the nail plate, providing flexibility and a baseline for the growth of new, strong nails. Each bottle of Herbatherapy contains a live stem of thyme, an aromatic herb prized for centuries for its unique healing qualities. 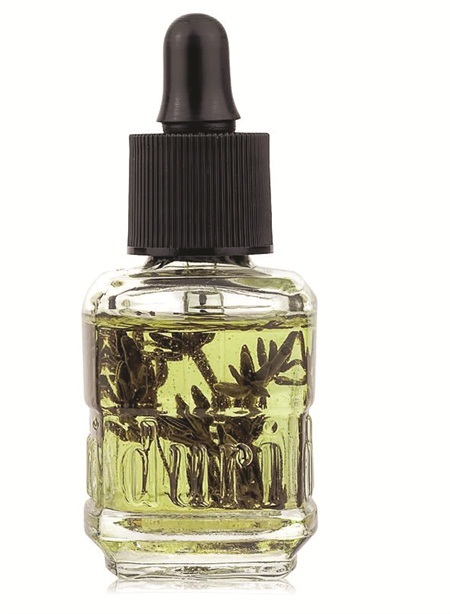 While developed primarily as a nail growth and cuticle treatment, Herbatherapy can do double duty as a massage oil during pedicures and manicures, effectively used on cuticles, nails, fingers, toes, and even the palm of the hands.